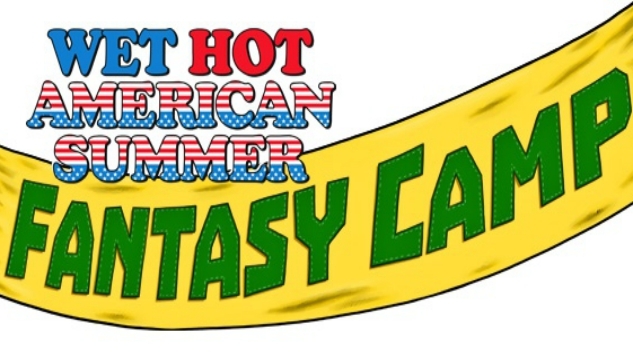 Get ready to (probably) head back to Camp Firewood, Indoor Kids, because the fundraising campaign for Wet Hot American Summer: Fantasy Camp just hit Kickstarter today. Written and designed by The Devastator, “America’s only all-humor press,” the new tabletop RPG is based on the cult 2001 comedy (and 2016 Netflix show) of the same name. Players will be able to take on the role of a counselor, camper or staffer during yet another crazy day at camp. Get ready to hump a fridge, go to secret pizza parties and keep the camp safe from another hurtling hunk of Skylab in one of three customizable campaigns. If the project receives full funding, backers can expect to play the David Wain-approved game by November of this year. They can also enjoy the book’s forward written by Wain himself, as well as “game tip” interviews from Michael Ian Black, Joe Lo Truglio and Marguerite Moreau for help with how to play as their classic characters. For a better look at the game, backer rewards, and to support the project, check out its official Kickstarter page here. This summer will also see the Netflix premiere of Wet Hot American Summer: Ten Years Later, but if you need a taste of Camp Firewood sooner, check out a five-person playtest of Wet Hot American Summer: Fantasy Camp below.